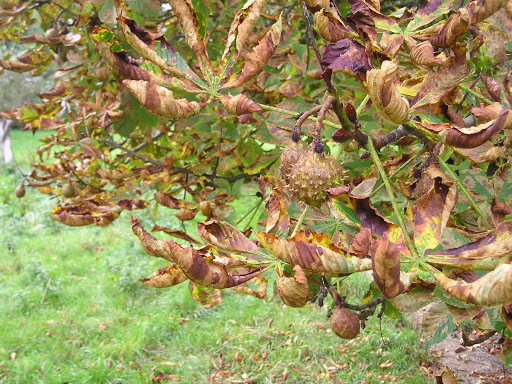 One of the biggest concerns for many people, even experienced gardeners is how and when to prune. 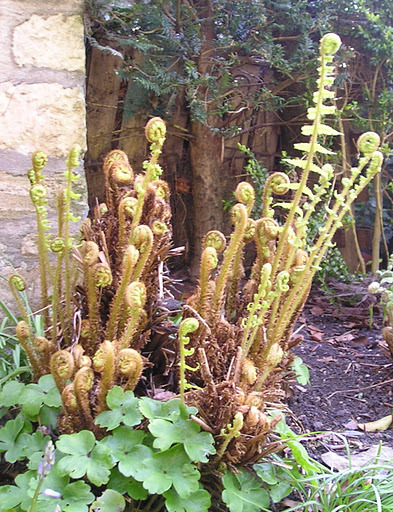 The quicker growing the plant (Wisteria is a good example), or the more spiny it is, the less likely it is to be given the chop – the first is intimidating by size, the latter by pain. A close relative of that most vicious of shrubs, the Berberis, is Mahonia and the garden cultivars, Charity and Winter Sun, brighten up many a dark corner with their spikes of yellow, lily-of-the-valley scented flowers on a cold winter’s day. 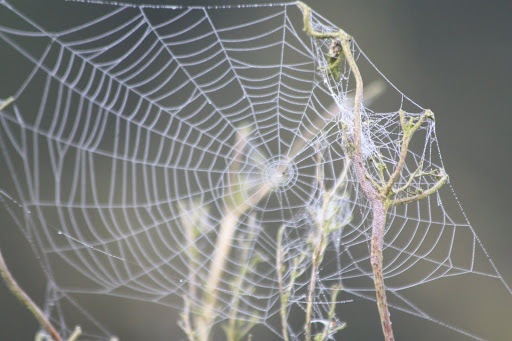 There they grow untroubled by pest or disease becoming ever taller, lankier and ending up just plain, downright ugly. 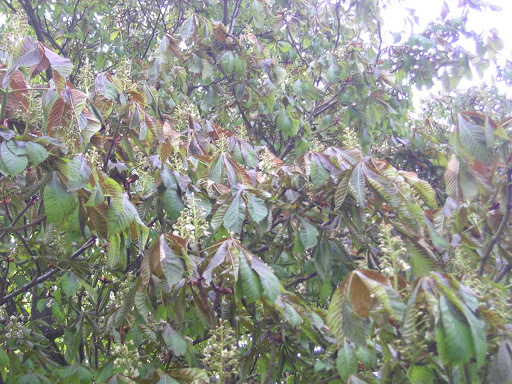 All of this can be prevented by pruning with the additional bonus of having flower spikes at nose height. 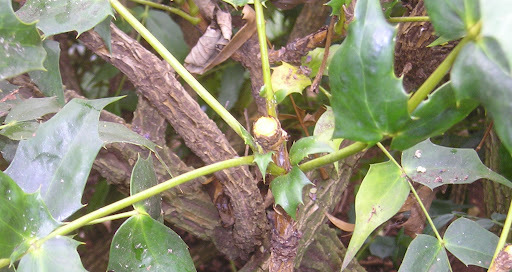 The Mahonia in the photo below has not been left to grow tall but been given a regular clipping with shears to form a ball shaped shrub: this often happens to plants that have to be kept under control resulting in a garden full of ‘blobby’ shapes. 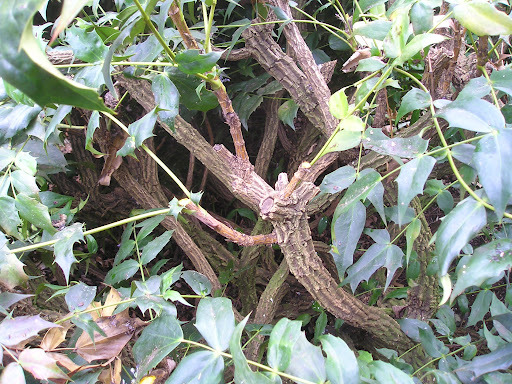 For a Mahonia that, by nature, wants to be upright, this is an especially hideous way to end up. 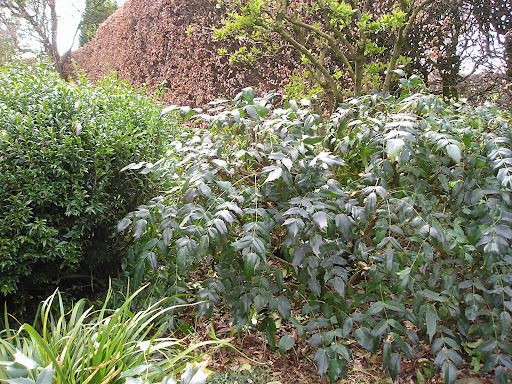 The shrub to the fore is Sarcococca, the Winter Box, also clipped to a ball shape, a style that does suit that particular plant although, in my opinion, it is more attractive when allowed to grow naturally. 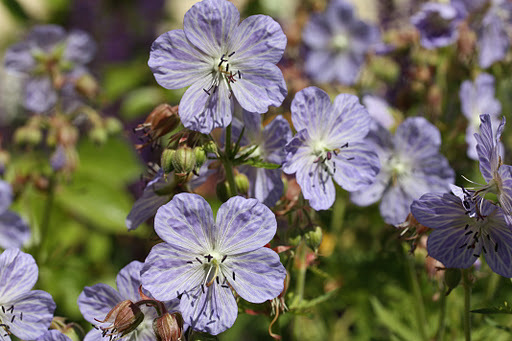 By April, the elongated flowerheads (raceme) will have faded to be replaced by bluish berries. This is the sign that pruning time has arrived. Mahonias are very tough, coping with temperatures as low as -20 degrees Centigrade and I have pruned them in frosty weather without loss. It is always best, however, to do any pruning task when the weather is more clement. 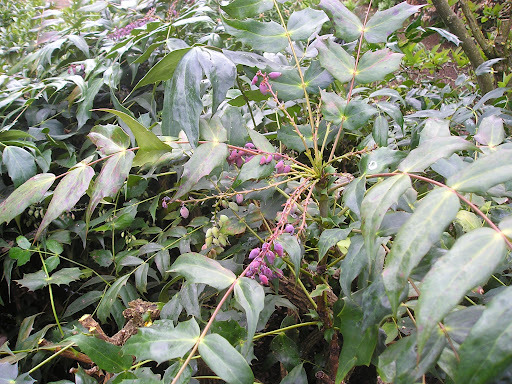 The difficulty with seeing inside a shrub that is growing as densely as this particular Mahonia is easily resolved by simply cutting off a few of the top clusters of leaves anywhere. Once you can see what you are doing life is much more straightforward and those first random pruning cuts can be rectified later. 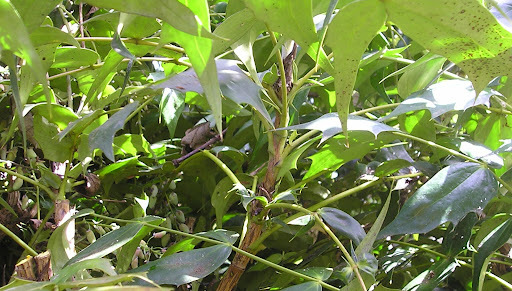 In the photo below a branch has been revealed to show how the leaves join the main stem. 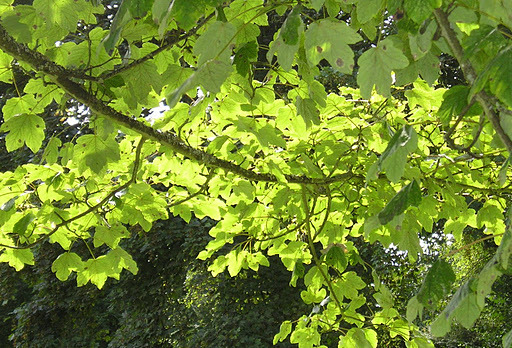 The newer growth at the top is a much paler green than the darker, older wood but both have leaves growing from it. 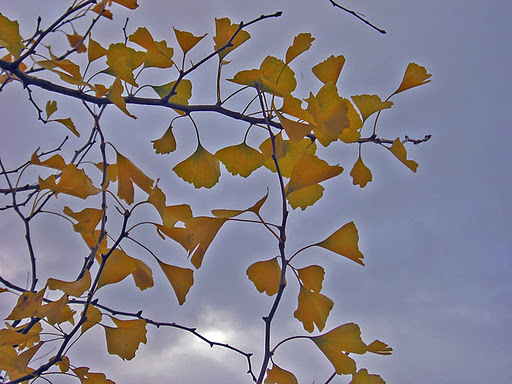 The pruning cut can be made anywhere between the leaves – I tend to be quite drastic and only leave one or two leaves in place. 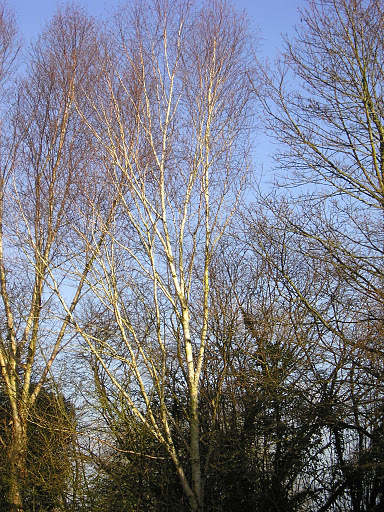 It can be seen that I have cut this stem hard back into the older, darker wood – new growth will shoot from this point giving flowers again by the following winter. 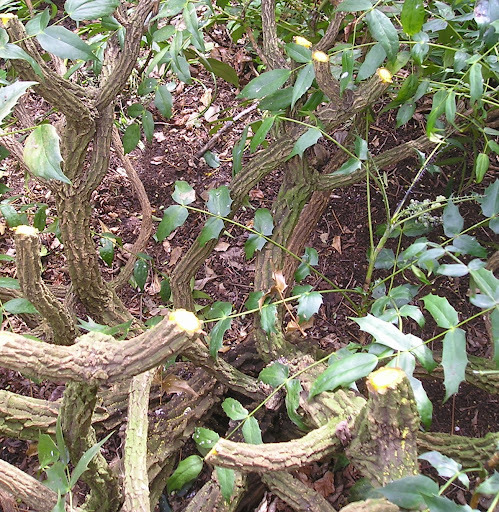 Although no growth is visible below the cut, dormant buds will break and create new branches. Again, these will flower the following winter but, of course, at a much lower height than before. It was only when I returned to the bonfire that I appreciated the beautiful pale jade tones of the underleaf, not normally noticeable. Another feature of Mahonia is the bright yellow colour of the cut stem – one that it shares with its Berberis cousins and, like them, the root system is also coloured yellow, a useful way of identifying what root system belongs to it when digging in a crowded shrubbery. Shh! Don’t Tell The Weather Man! I hardly dare mention it but I think Spring is finally coming to the Cotswolds. 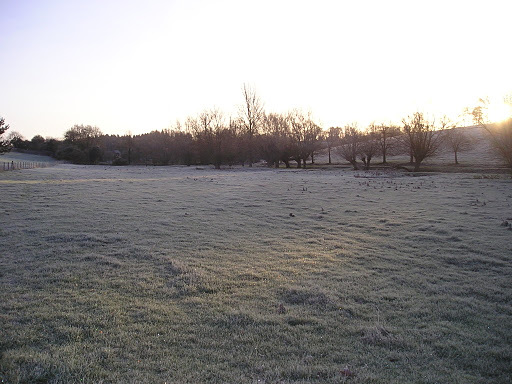 After I wrote about it back in February, the man from the Met Office sent us cold again. 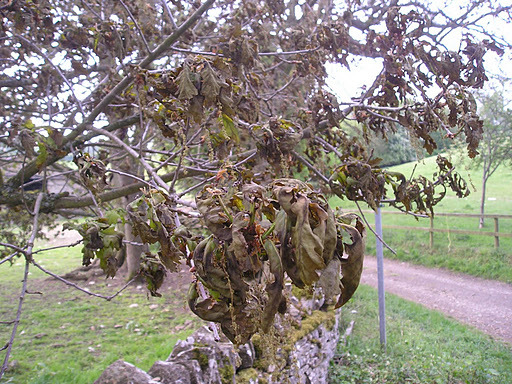 Hard frosts put spring on hold. To be fair, as I also wrote, the Cotswolds may be one of the most beautiful places to live in the south of England but the hills are also one of the coldest. 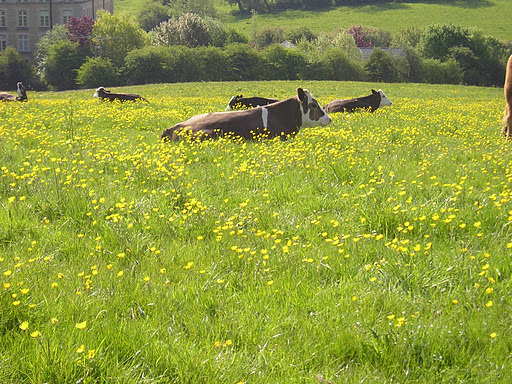 Our spring is always two or three weeks later than places even as close as Oxford or Gloucester. 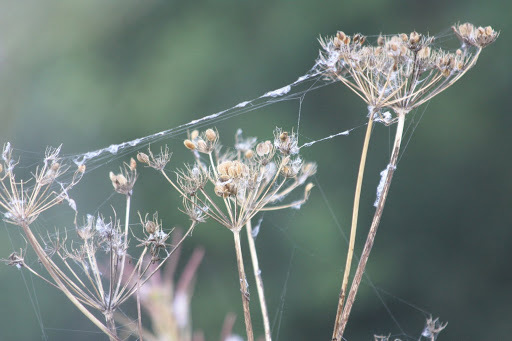 The past few weeks have been unusually dry which has meant that tidying up the garden – or, in my case, gardens: my own as well as clients – has progressed rather well. A nice drop of warm rain now would work a treat and not interfere with time schedules. 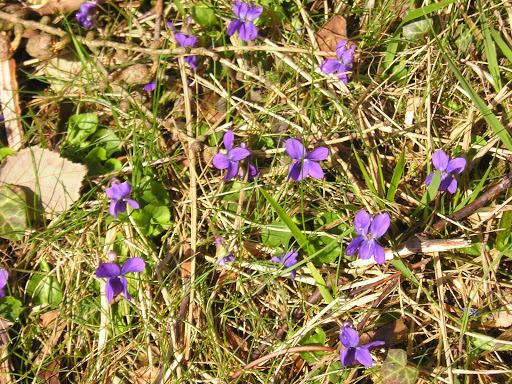 At last, in the secret valley, leaves are unfurling properly, daffodils are blooming and the lone primrose has been joined by many more as well as purple and white violets. 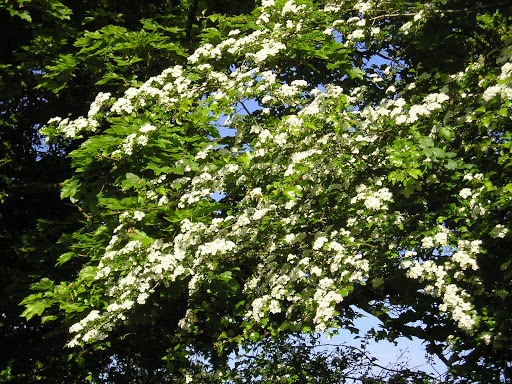 Wherever I have lived, there has always been one hawthorn that opens its leaves days before the rest, even when planted as a hedgerow. I’ve often wondered if this is a genetic thing which means, I presume, that it could be cloned to have a whole group of early leafing ones. 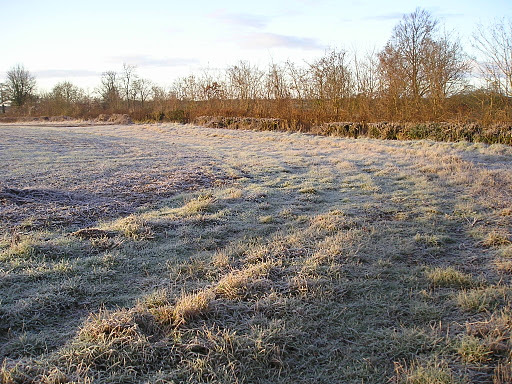 Or is it a combination of warmth and soil conditions in that particular spot? When I retire and have more time (a contradiction as the two never happen according to friends who are trying it) I will take cuttings and carry out a controlled experiment. It will give me the opportunity to blog about it if I am still able to sit in front of a computer! 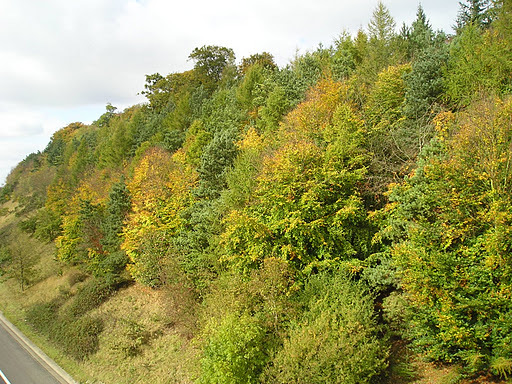 I wonder if I could get a whole hedge of early flowering hawthorn? It will be another six weeks or more before they will be in bloom in the secret valley. The snowdrops and aconites have now finished flowering. The little ruff of green leaves are all that is left of the latter. 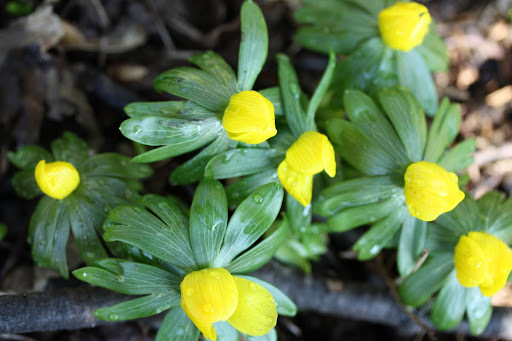 They look so similar to the taller herbaceous aconites or Monkhoods whose green ruffs are also poking through the ground now. 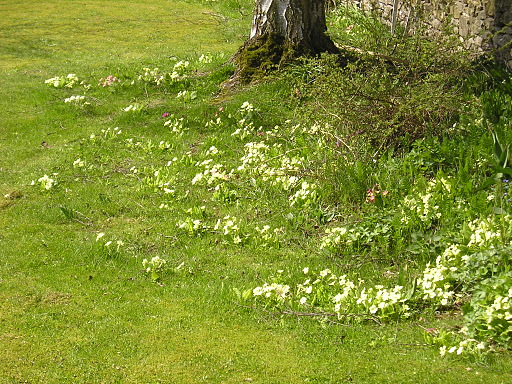 They are all part of the buttercup family so are related but so unalike one another at their flowering time. I love the tall purple spires of the Monkshoods in mid to late summer: not as delicate as delphiniums, another favourite, but at least slugs don’t eat them and they don’t need staking, a real plus. Forsythia is in full bloom. These I enjoy in other gardens but never plant them in my own unless the garden is huge and they can be planted a long way off. 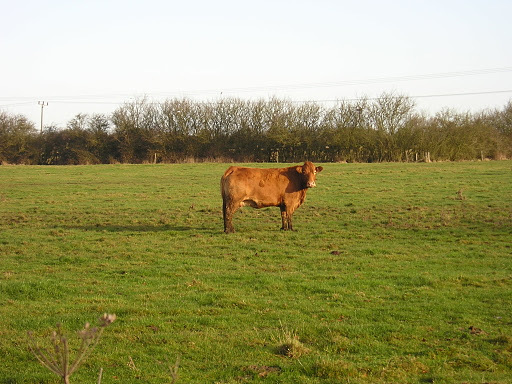 They show up from quite a distance and when seen too close, are too strident for my taste. 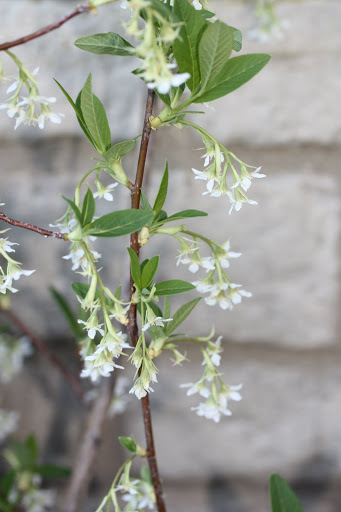 The non flowering shrub later in the summer is a coarse affair too, dull and not warranting the space unless livened up by a clematis or other climbing plant. 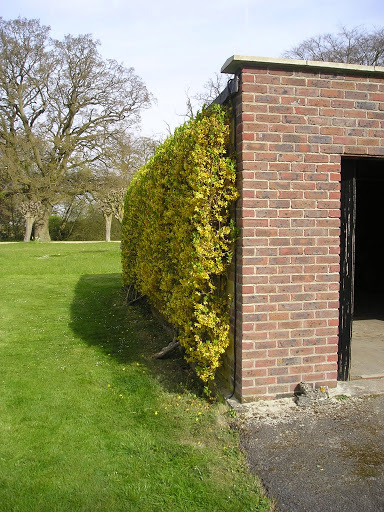 In the photo below it is grown as a wall shrub and it works well in disguising this unattractive garage. 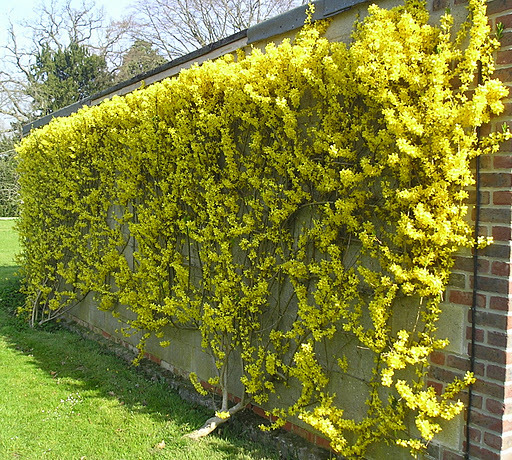 Despite being cut hard back to the wall each year in early summer it is always smothered in bloom by March. The same applies to the common flowering currant. 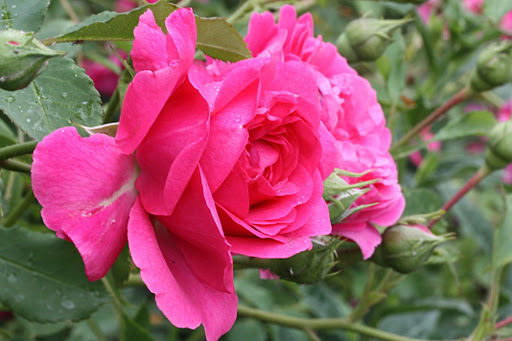 The standard pink is a wishy-washy thing and the deeper coloured, named varieties such as King Edward VIII, is as strong in colour as the forsythia – a plant to be enjoyed in other gardens. For those of you that thought the currants were always pink (although there are white flowered versions) and smelt of cat’s pee – and I include myself in this category for many years – there are three others that are well worth making space for. Ribes odoratum, has pale yellow flowers and is beautifully scented. 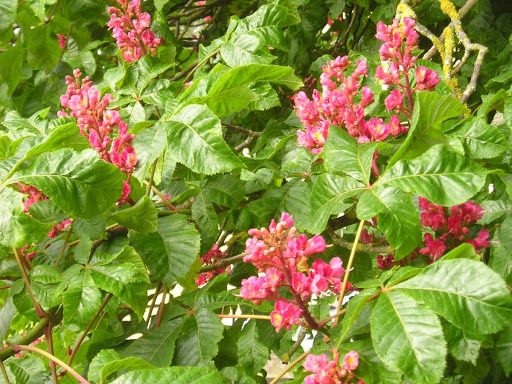 It is a bit of an untidy shrub in my experience, suckering freely but not a nuisance. 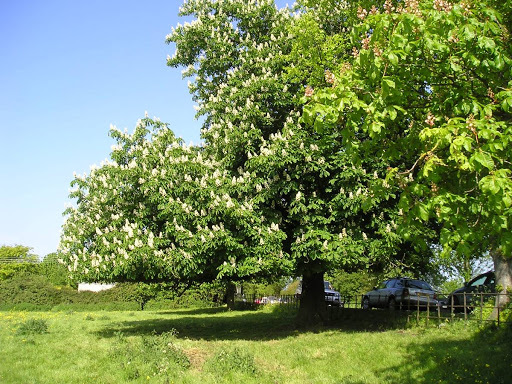 It grows in happy neglect in a hedgerow – an ideal spot for it to do its own thing – and is really only noticed by the spicy fragrance as you wander past. Ribes lauriflolium is a new plant to me. Unlike the others which all originate from the States, this currant is found in the wild in China. Looking at descriptions on the internet I wonder if they are correct or if there is a lot of variation in the stock, which is possible. I bought mine described as white, evergreen and not too hardy. It has survived -16C this winter, has been deciduous (perhaps it keeps its leaves in milder winters, I rather hope not) and is white flowered. 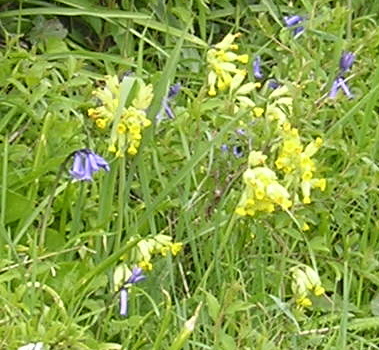 Others are described as yellow and growing to only 1 ft – mine is already 3ft but that may be because it is tucked behind our dry stone wall. The one thing they all agree on and I can confirm is the exquisite scent of lilies of the valley. Do try to grow one if you can find it. I have since discovered that this isn’t a ribes at all! See my next post to reveal all!! My final choice of flowering currant is another favourite, Ribes speciosum. 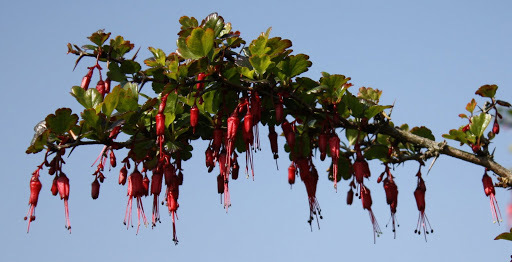 It is reminiscent in bloom of fuchsia and, like them, are pollinated in their native environment by humming birds. 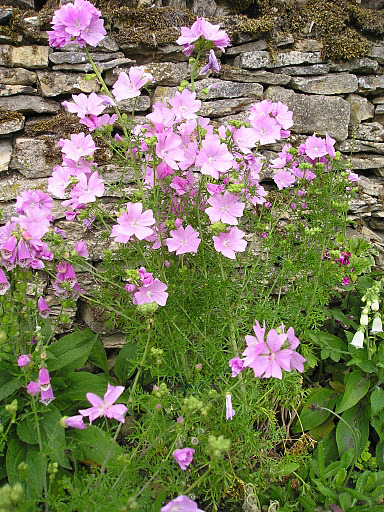 Hailing from California, in UK gardens it requires shelter and grows best against a warm wall where it can be trained on wires or left free growing. 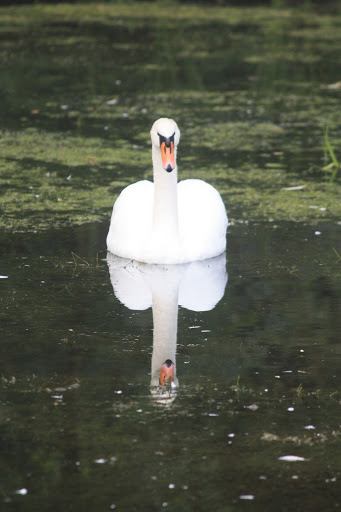 This photo was taken in the botanical gardens in Dublin on a glorious spring day. Warmth, blue sky and sunshine. The clocks go forward an hour this weekend giving us more evening daylight. 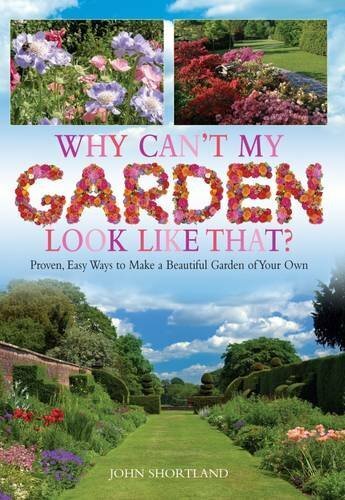 I’m almost feeling optimistic about the days to come – something a gardener should never be! The first signs of spring are always welcome and especially so after the winter that we have had this time. 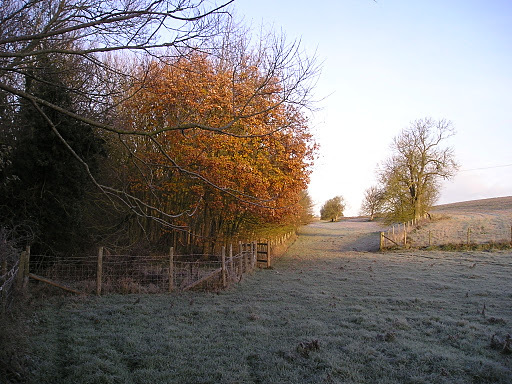 Frosts arrived early in the season, followed by snow that lay both deep and long, which is unusual for the south of England. 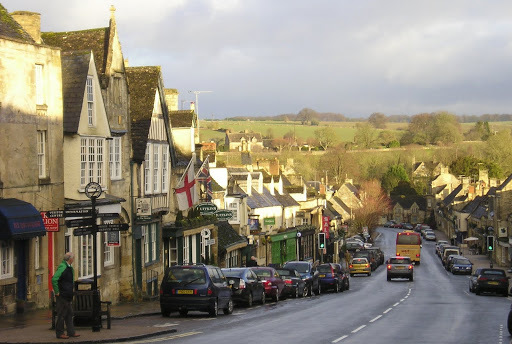 The Cotswolds are known, however, for their colder and longer winters compared to the rest of the region. 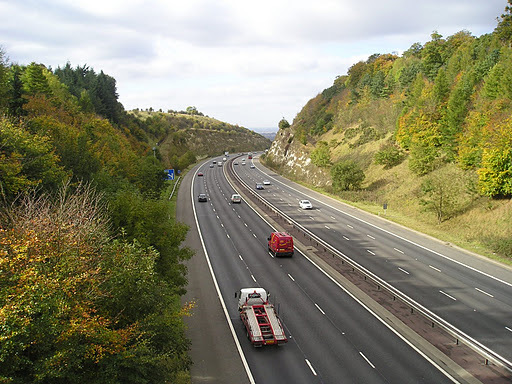 Here, about as far inland as you can be on a small island, we have little benefit from the warming effect of the sea and we are also hill country. Elsewhere may be showing signs of spring but in the secret valley these are still hard to find – an elder twig just breaking into leaf is the only green that I can find so far. 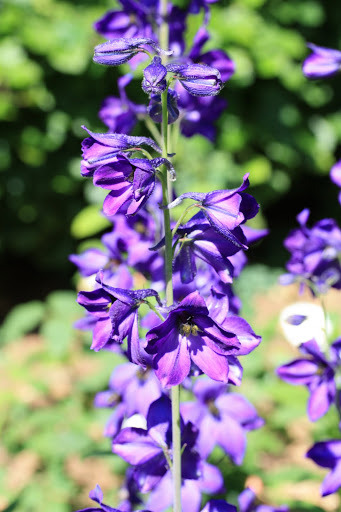 The aconite wood, ‘though, is a sight to behold and has been flowering for a couple of weeks now. How many plants can there be? Surely, tens of thousands. When and why were they planted here, for they are not native to this country. An old country chap told me it used to be called Summer House Woods but there is no sign of a building here and the ‘big’ house that owns the land is some distance away. This snowdrop wood was planted by nuns over a hundred and fifty years ago and is attached to my ‘reincarnation’ house. Snowdrop woods, unlike aconite ones, are not uncommon but never fail to impress. 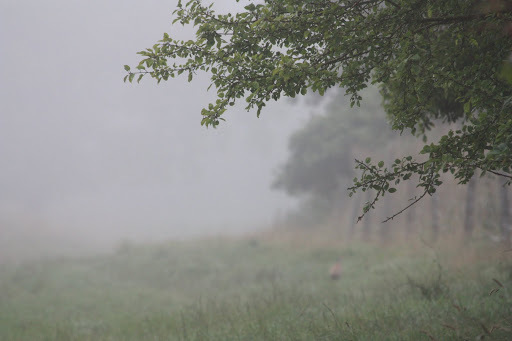 Even a small group in a garden are eagerly awaited and we have plenty here where they spill out beyond the garden boundary and peep out from amongst the hedgerow that borders the lane. The Cornus mas is also flowering now. 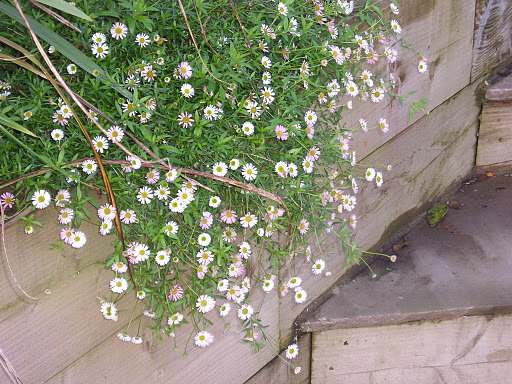 It grows in our garden against the house wall, facing east. 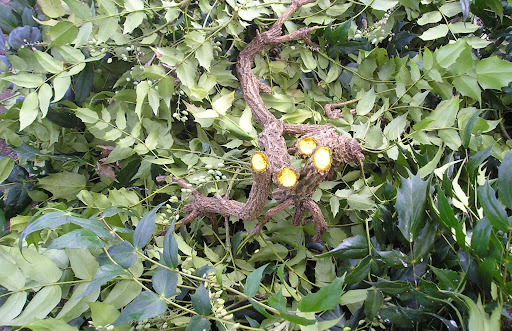 Despite this, it perfoms regularly and is easy to keep pruned to shape. 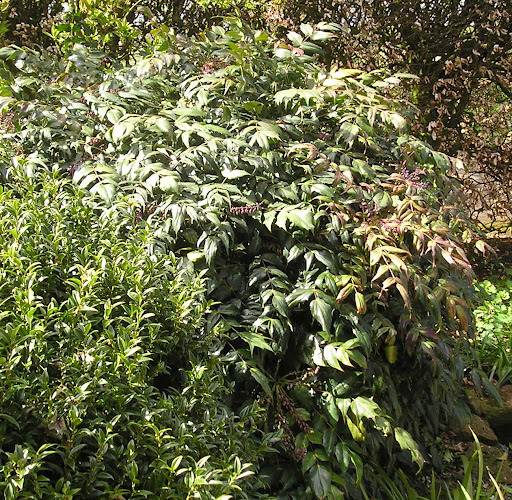 This one, is the variegated leaf variety which is quite slow growing compared to the standard type and so is ideal as a wall shrub. In late summer it carries edible scarlet berries, hence its common name of Cornelian Cherry. 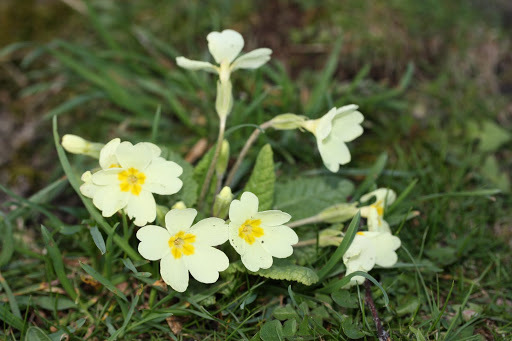 Also in the garden, I found a single, wild primrose, sheltered by the old garden roller, in flower. Later, the garden, and especially the lawn, will be covered with their flowers. Daffodils, although beginning to flower elsewhere will be a few more weeks before they do up here. 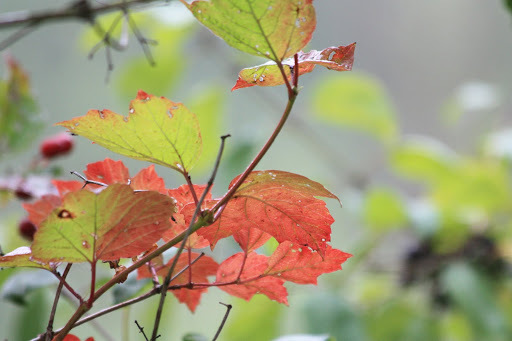 But even in the Cotwolds they are showing colour in the warmth of our towns – which makes shopping just a little bit more enjoyable. 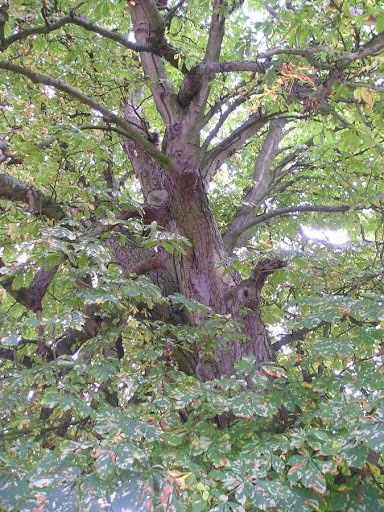 When in town, I was surprised to find that oldest of symbols of spring – the green man. 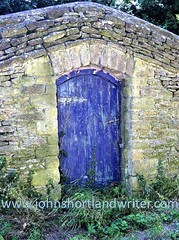 He was standing tall and lofty down a back street unnoticed and forgotten. Closer examination revealed that he was an old column and ball, the remaining one of a pair of stone entrance pillars from some long demolished house. 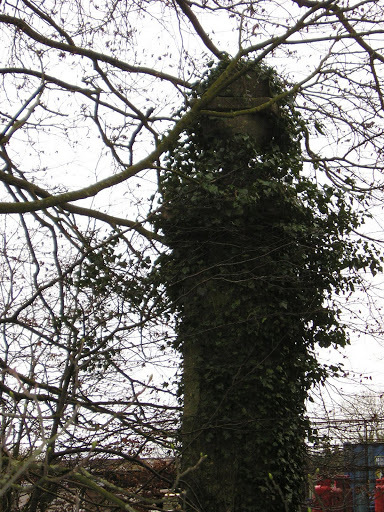 Now covered in ivy, I wondered why it had been left and what was its history. 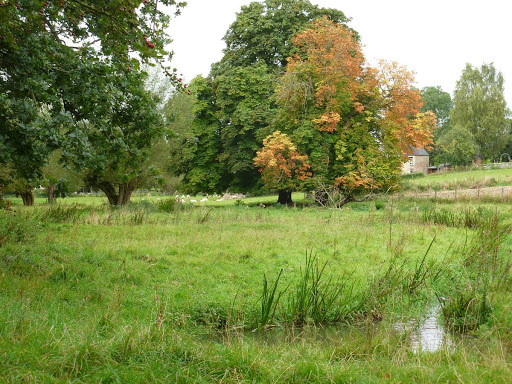 Further afield still, I came across a small pond in a field. 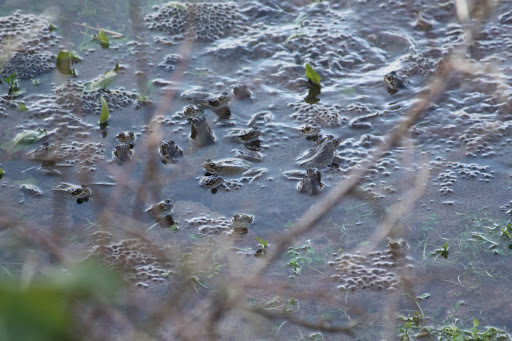 The croaking of hundreds of frogs drew my attention to it and in the photo below there are over forty heads poking out above the water. As I approached, sensing danger, they fought one another to get below the surface, making the water look as if it was a boiling cauldron. 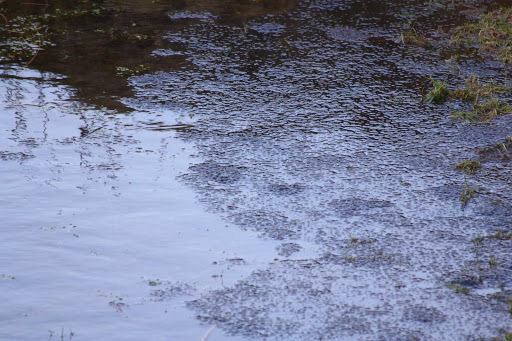 A few days later, when I returned, all was quiet and the surface of the water completely covered in frogspawn. 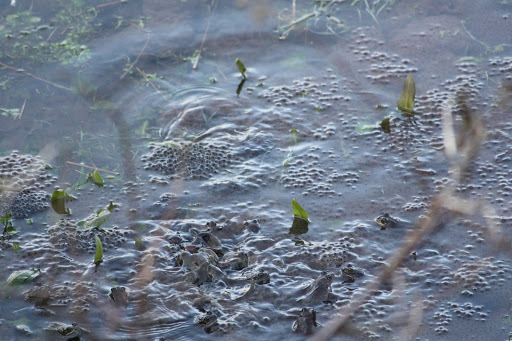 Like the daffodils, it will be some weeks before our secret valley frogs start marching across the lane and entering the house in their quest to reach the lake below our garden. The snow has all but gone from the secret valley, thanks to a sudden thaw, after the temperature rose from -15 centigrade to +6 centigrade. Some still clings to the gullies at the sides of the fields and on the colder banks of the hillside but elsewhere, in its place, is the battered appearance of a landscape after attack. Last night, New Year’s Eve, was seen out at our neighbours and good friends 3/4 mile up the road, at the farmhouse that is the centre of our farming life here. Although a cold night it was good to be able to walk there effortlessly (after ploughing our way through snow for several weeks or sliding around in the car). As the chimes of Big Ben in London struck twelve o’clock we all sang ‘Auld Langs Syne’ to the traditional sound of a lone piper – in this case lone because there was only one Scotsman present and he could play the bagpipes. And a couple of hours later I stepped out into the cold, still air to walk back down the hill to home. 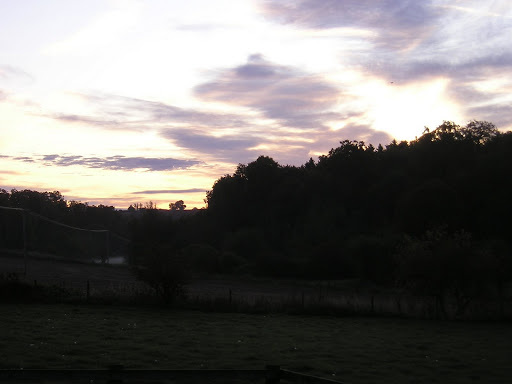 The secret valley at night – and some nights especially so – is a silent and dark place. Never menacing, it is a good time to reflect on times passed and to breathe in the air which seems to take on a different quality to daytime. Walking down the lane, with bands of snow periodically reminding me to watch my feet, I was aware that there were others on the move too. 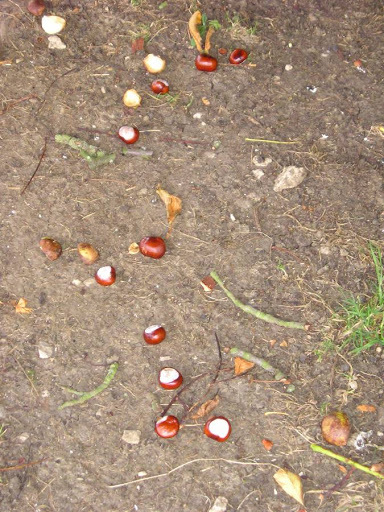 An alarmed rabbit shot across the road in front of me, diving into the hedge, it’s path being highlighted not by moonlight, for there was none, but by the sounds of leaves rustling and twigs breaking beneath it. 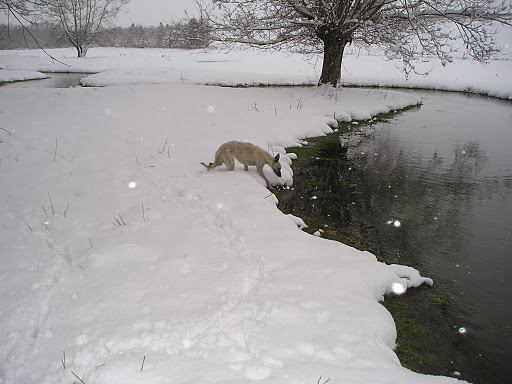 The fox was far more discreet, the only witness to its passing, its distinctive musky scent. 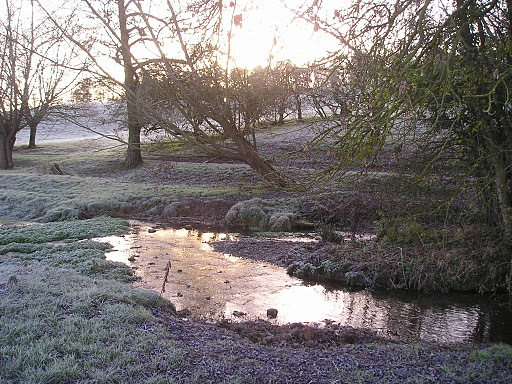 Our little river, now thawed out from the frozen state that it had been in gurgled and splashed its way into the distance. It had seemed odd not to be able to hear it when it had its lid of ice and snow for even in the hardest winters past it had not been known to freeze over. 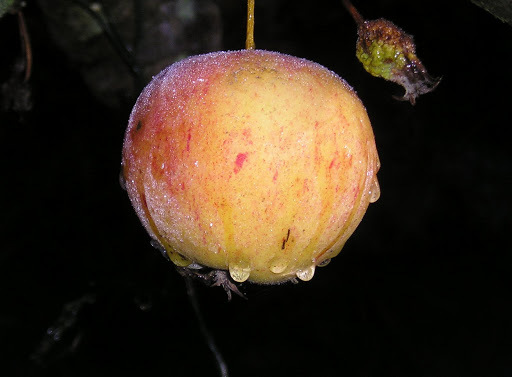 However, a touch of frost had given a magical dusting to the plants and fruits that had survived the onslaught of our early winter, for snow is rare at this time of year. 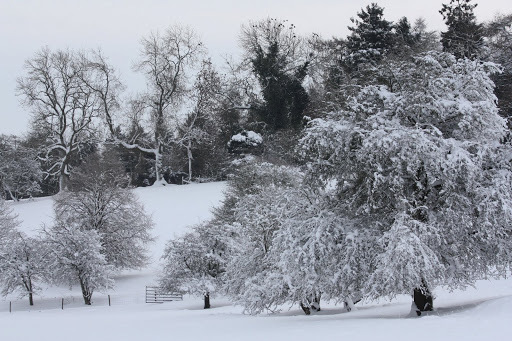 January and February can be snowy and often we have none at all so who knows what the start of 2011 will bring? Approaching home, the reassuring smell of wood smoke drifted from the chimneys towards me. Warmth at last! 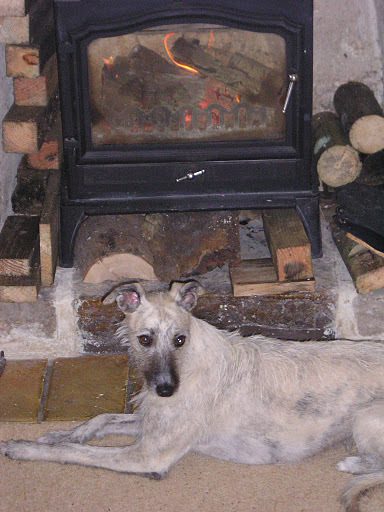 And, as always, She-dog, our best companion, was there to greet us but not before raising a bleary eye from her bed, as if to say “what are you doing out at this time of day and at your age?”. And so to bed tired but with a warm, contented feeling both inside and outside. 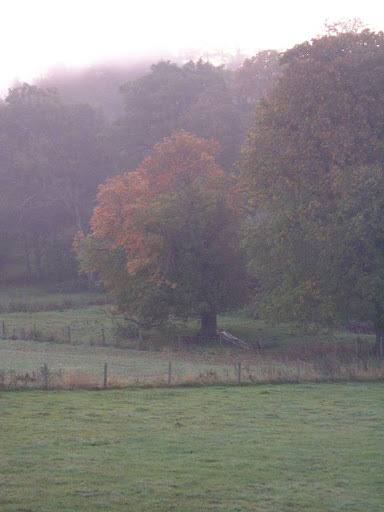 To live in the secret valley, isolated but surrounded by beauty and good friends, is such a privelege. 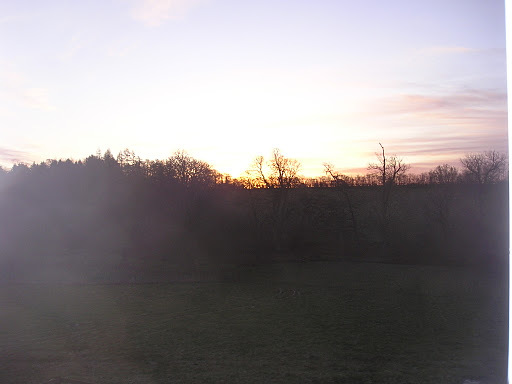 Who knows what 2011 may bring but if the first days sunrise is to go by, it should be a good one! Happy New Year to you all…..